This past Friday OPP say they responded to several reported incidents throughout the day with a majority of them being medical as well as 911 hang up calls and cell phone pocket dials. Ontario Provincial Police say this past Friday the 13th motorcycle rally in Port Dover was a "relatively peaceful" event. Numerous rally-goers and spectators arrived in Port Dover early Friday morning with only a few minor incidents, according to police. Police estimated about 200,000 people turned out for the event that saw motorcycle enthusiasts converge on Port Dover. It happens every Friday the 13th in a tradition that goes back to 1981 when a Port Dover motorcycle shop owner got together with some friends. It's a major source of income for businesses located on the north shore of Lake Erie, about an hour southwest of Hamilton. Police said they responded to several reported incidents throughout the day with a majority of them being medical as well as 911 hang up calls and cell phone pocket dials. "We responded to minor calls for service. This was a well-attended event with no major issues encountered by the OPP," said Inspec. Joseph Varga, Norfolk County OPP, Detachment Commander. Police said they dealt with several Liquor Licence Act related offences over the course of the evening. "All in all, for the large number of people attending Port Dover ... the crowds were well behaved," police said in a news release. 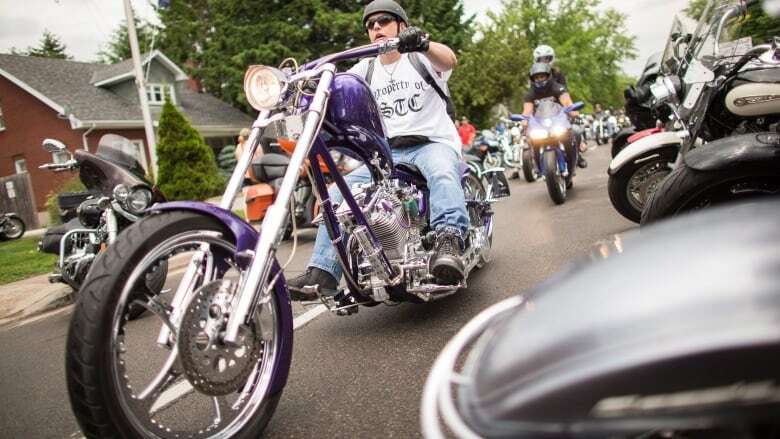 Prior to the event, OPP reminded attendees that they could be unwittingly supporting organized crime groups by purchasing and wearing gear related to outlaw biker gangs. It may put people at risk of being targeted by rival outlaw motorcycle gang members, police added. Police said the purchase of gang-related gear directly fuels illegal activities such as drug trafficking, violence, intimidation and human trafficking. Police said tensions between members of the Outlaws and the Hells Angels have been mounting.